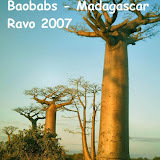 is the extreme South part of Madagascar ; the country of Vezo, Mahafaly and Antandroy ( the 3 tribes of this region ). You have 2 ways to go there, the both are very bad roads & are only available in the dry season from June to November. The first way is along the sea-side path passing by : Beheloka - Efoetse - Itampolo - Saodona - Bevoalavo - Lavanono - Cap Sainte Marie - Faux Cap. The 2nd way is the national road which is as bad as the sea-side path ( the both need a 4 WD vehicle ), passing by : Betioky - Ejeda - Ampanihy - Beloha - Tsiombe - Ambovombe Androy. Your car runs through rivers in dry season because there is no water. Is the land of spiny bushes, goats & zebus ; a lot of zebus ; but also the land of drought. The only region of Madagascar where people don't grow rice ( because of the lack of rain & limestone ground or sandy ground ). But it's the first region of Madagascar which produces manioc, sweet potatoes, corn, peanuts and beans. You will be in contact with Vezo, Antandroy and Mahafale people. The Vezo people are fishermen. The Antandroy people are pastors ( they breed zebus & oxes ). And the Mahafale people grow crops. The vegetation includes Euphorbiaceae, Liliaceae ( such as aloes ), Apocynaceae ( such as bottle-trees ) and Didieraceae ( all endemic ). Most of plants in this region are endemic & it's the part of Madagascar where the rain is the lowest : from 600 mm/year to ... 300 mm/year. To compare it, the part of Madagascar with the highest rain is the North East region, with 3500 mm/year. Everyday, it rains there. But here, it's the land of zebus & spiny plants. 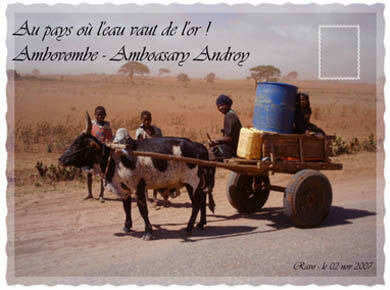 The zebus are the most important things for the Antandroy people. They are not sacred but the Antandroy people don't hesitate to live their villages to go to grassy ground even if they have comfortable huts, crops fields and water. The Antandroy people know their zebus very well. And the cattle give them happiness , the cattle are the most important wealth for them. They can give them a beautiful burial. So, to steal cattle of other people is a sign of bravery but not a sin for them. And more you have zebus, more the society respects you & gives you honor even if you steal cattle of others. Naturalists & public will like this Park because of its particular forest ecosystem. Andohahela National Park is divided in 3 areas : first, the East area with its evergreen humid forest because of much rains. Second, the West semi-arid part with just 600 to 800 mm of rain per year, so a vegetation of spiny bushes. And third, an intermediary zone between these two different climates. Anosy mountainous chain divides Andohahela National Park in 2 areas : the East region & the West ones. This chain stops the wind from the Indian Ocean, so it stops most of rain, it's the reason why the West part is semi-arid. You can visit Andohahela on foot or by mountain-bike ( you can rent it in Fort Dauphin ), and during the day or the night to try to find lemurs such as Sifaka, Ringtailed lemur or Mouse lemur. is the most exotic part of this big island. Its forests are home to thorny, water-retaining trees and shrubs which are unique to Madagascar. Due to its hot, sunny climate, the south is a popular tourist destination, especially in Fort Dauphin and Toliary regions. The wooden carvings and colourful paintings which decorate the ancestral tombs of Antandroy, Mahafaly and Antanosy tribes add unique character to the area and provide a haven for cultural enthusiasts and nature lovers. Isalo National Park is one of Madagascar's most popular hiking destinations. The deeply eroded, weirdly shaped sandstone rocks and the rare endemic plants make it particularly rewarding for botanist. The absolute silence which exists creates an awe-inspiring sense of isolation and timelessness. The area is very hot and rugged so the water-filled canyons which act as natural swimming pools are a welcome relief to traveller. Has an area of 31 160 ha with an elevation range between 650 and 2658 m. Andringitra became a National Park only in 1999. So it's one of the newest National Parks in Madagascar. 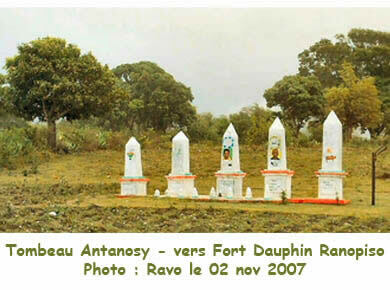 The Park is within Fianarantsoa Province, in the Betsileo area. It's very cold there in winter ( in July ) where you can have 7° C below 0. And the rainiest month is February. Can be divided in two sides, the western side and the eastern one. This eastern domain is a lowland humid forest, and the western domain contains montane forest and dwarf montane flora. Most of them are endemic. Approximately 1000 species of plants have been inventoried within the Park. You can find a lot of fern flora. There is too there around 106 species of birds, 13 species of primates, 57 species of amphibians and 35 species of reptiles ; most of them are endemic to Madagascar. For more information, you can write to the following people. Whenever I think of Mada ( Madagascar ), I still hear the kids laughter … It’s the first thing that comes to my mind … Ravo, your laughter as well, although I have to admit, it has faded a bit. 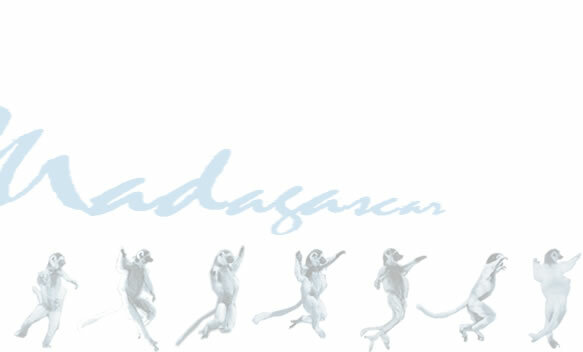 A journey to Madagascar isn’t an ordinary trip. I liked what you said one day : we behaved as travellers not as tourists. 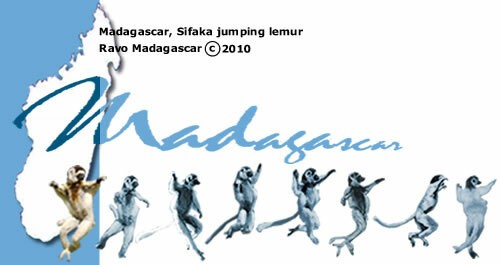 Once the decision is made to go on holiday to Madagascar, it’s more than just a holiday … It is an encounter with people. It is a discovery of stunning landscapes, of great variety. Mada is a mix of colours, a land of contrasts between ochre and green. It is the cold of the high plateaux, the heat of the South. As soon as we arrived, at the airport, you welcomed us so amiably that we felt immediately confident with you. The trip being short, you managed to get us into the island mood from day one. We are fully aware you’ve done everything possible to satisfy “ your clients ” while crossing this island. We never felt we were clients though !!! Thanks to you Ravo … Your professionalism, your knowledge of the island, and above all your love for the inhabitants of Mada are the key to the success of our journey.